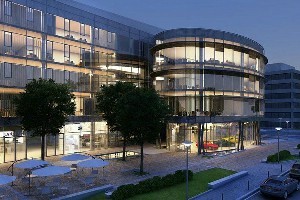 Herzlia is a city which combines pleasure and business. 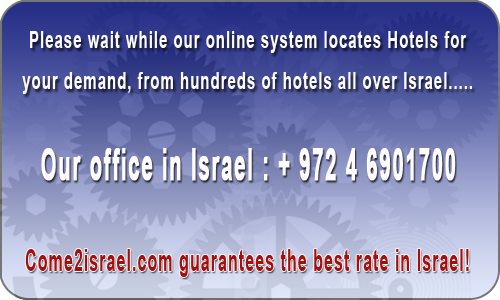 It is situated between Netanya and Tel Aviv. 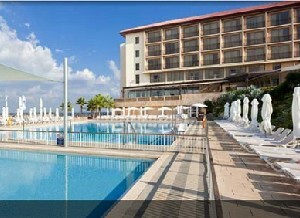 Hotels in Herzlia can be found near the Mediterranean Sea or in the city center where the Hi-tech buildings are located. The Herzliya Marina is one of the main attractions in Herzlia with a beautiful dock, yachts and boats in all sizes and a shopping mall. 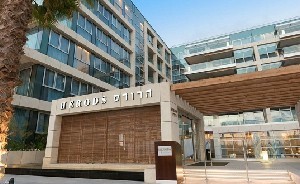 Okeanos Suites Hotel is located overlooking the sea with modern comforts, the perfect choice for business travelers and families, conveniently situated in cosmopolitan seaside Herzliya. 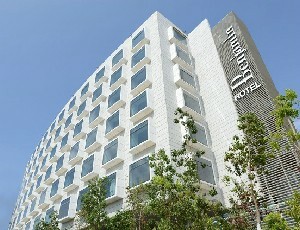 Benjamin Hotel is located 15 minutes walk to the beach and the Hi-Tech district. Numerous cafes and restaurants can all be found within easy walking distance from the hotel. 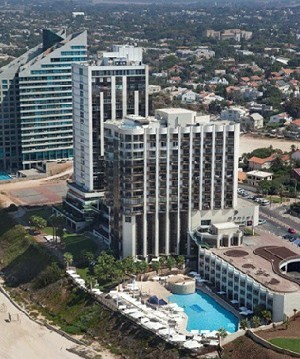 Dan Accadia Hotel offers direct access to the Accadia Beach, a Dive and Surf club in the hotel and is a 15 minute walk to the Arena Shopping Mall and Herzliya`s industrial area. Daniel Hotel is located opposite Zvulun Beach and is a 3 minute walk to a shopping center including a currency change shop & a pharmacy. The hotel features a cinema and large Spa. Hotel is charming, clean and inviting. The atmosphere was very pleasant and quiet. The hotel staff is courteous and very nice. The rooms are fully equipped and the bed is very comfortable. The food was high class tasty and aesthetic. We would happily return again. Absolutely as a hotel should be. The staff is very comfortable and pleasant, the cleanliness in the lobby and the surroundings are excellent. 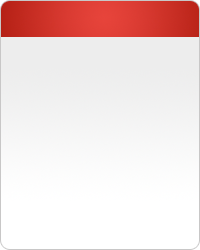 Rooms are a bit less. The balcony below for every review did not clean the glass maybe the hardwood floors in the room are old and noisy in all we get. Thank you very much. A great location and a pleasant feeling in the facility, a pity that there is only a seawater pool where the little children joined together and missed the cleaning of the room once. Herzeliya is a city of approximately 83,000 located on Israel`s central coastal strip, just north of Tel Aviv. It is part of the Tel Aviv District. Named after Theodor Herzl, the founder of modern Zionism, Herzliya covers an area of 26 km². 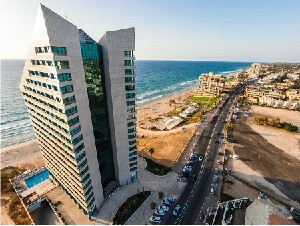 Within its municipal boundaries is Herzliya Pituah, one of Israel`s most upscale neighborhoods, home to many ambassadors and foreign diplomats.